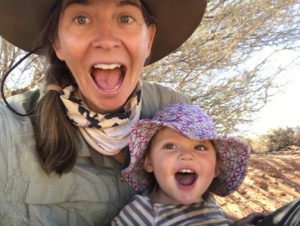 In the first few weeks of our expedition, if you had asked me whether I still thought trekking across the Australian Outback on foot with a one year old was a good idea – I’d probably would have yelled, “Heck no!”. For me, the first month was like jumping into the deep end of the pool when you just learnt how to swim. On one hand, it was all new and exciting. On the other it was really hard, unfamiliar and overwhelming. Month one was all about survival. My first priority was being a mom, keeping Morgan safe and helping her to adjust to an unfamiliar and inhospitable environment. Looking back, I think being an expedition newbie in this case actually helped me. I was a clean slate and I think my naiveté actually helped keep me a little less overwhelmed and more in awe of the journey that lie ahead. I had no expectations and everything was a big adventure. 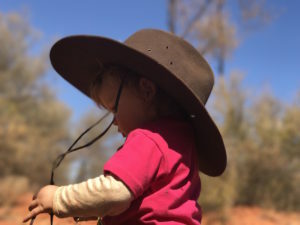 I knew Justin and I had put in the hard yards during the last several months of planning, training and packing but there aren’t too many models of how to take a young kid on an expedition. 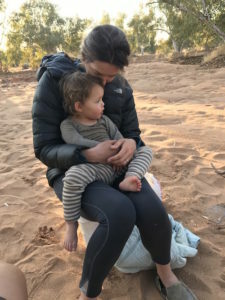 In many ways we felt like we were forging a new path and lets be honest, when you are taking a one year old into the Outback for three months, there are a tone of unknowns and at some stage you just have to jump in…the big and scary deep end. That’s just what adventuring is all about! In the beginning, all three of our bodies and minds were going through what I now understand, and more commonly known in the expedition or ultra community as the ‘adaption phase’. Over those first few weeks I had been in quite a bit of physical pain, my heels and toes were just one large blister covered by another blister. When I put my boots on in the morning the slightest touch would cause shooting pain that was enough to make me nauseous. 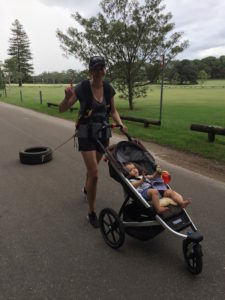 Yes my feet were painful, but honestly this paled in comparison to the emotional threshold I felt myself hitting between pushing my own personal boundaries and those of our family. 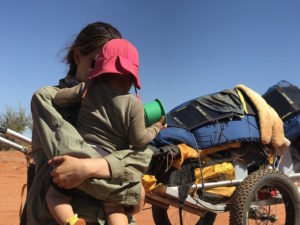 At the start, looking down the barrel of 90 (+) days of crossing 1,800km, living in the Outback in a tent and carrying all of our supplies, with our one year old felt utterly overwhelming. 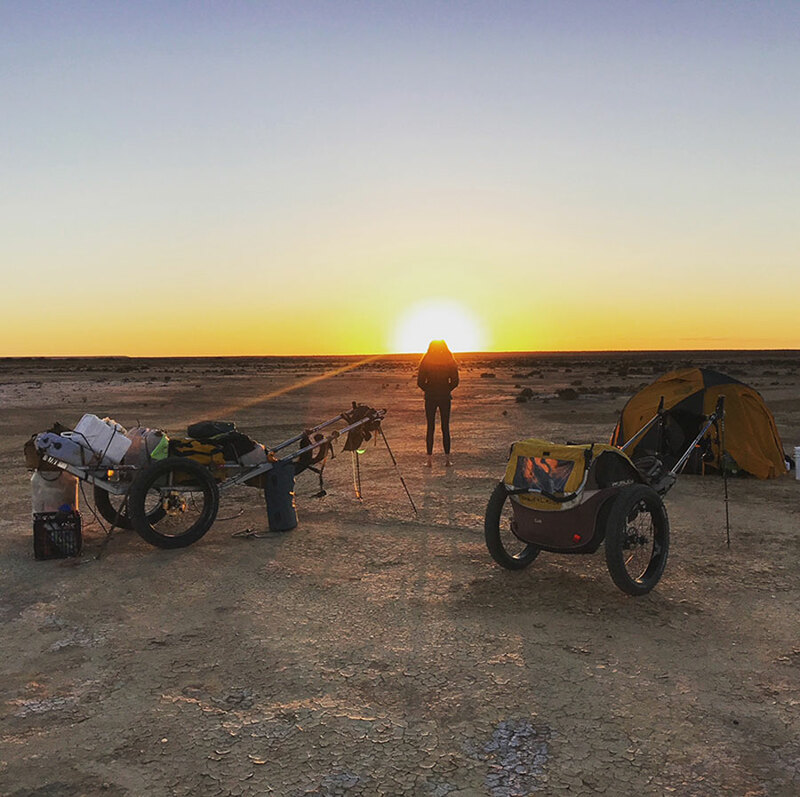 During our first week, Justin told me to just mentally break the trip into smaller stages, as he did in in pervious two expeditions. 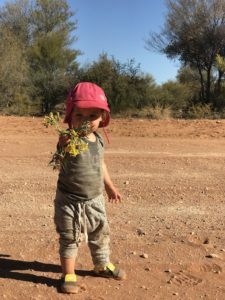 First he told me to only focus on getting to our first food and water drop at Uluru/Mutijulu, 200kms away, anything beyond that at that stage irrelevant. Breaking the trip down into these smaller pieces has helped me keep moving forward and not getting to overwhelmed by the scale of our goal. I have always been stubborn and when I put my mind to something I will do everything in my power to achieve it and this trip has been no different. My goal for myself in the early days was to just show up, everyday, no matter the conditions and keep Morgan as safe and happy as possible. 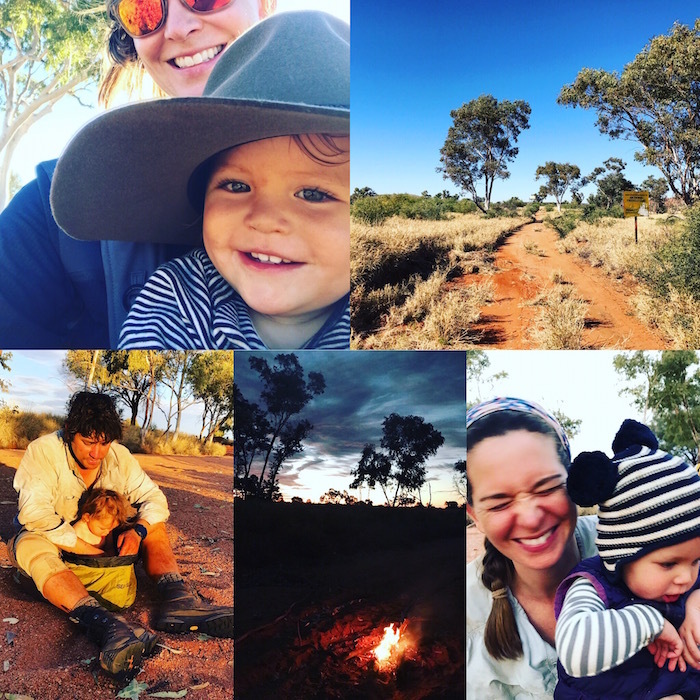 So now as we are finishing our fifth week in the Outback I honestly can’t believe it. This weird expedition daily life has now become our new normal. Morgan has gone from needing a break or attention from mom every few minutes to happily playing on her own and entertaining herself happily in nature for hours. We’ve gone from barely making 10km’s a day to now pushing just over 20. 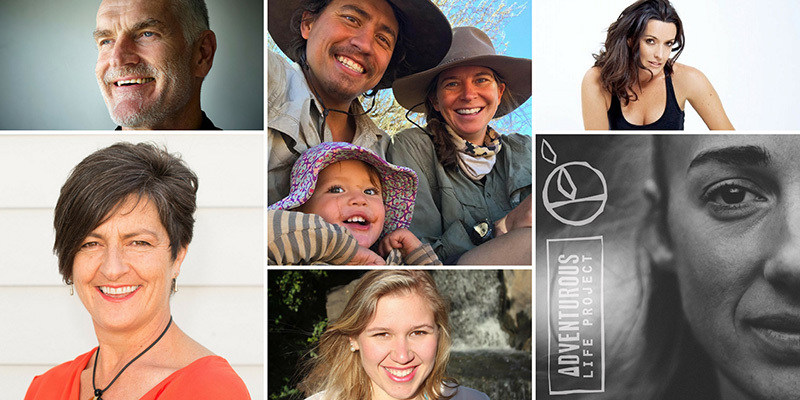 It seemed at some point over the last two weeks that something just clicked into place for us and somewhere along the way my view of what’s possible just seemed to expand. 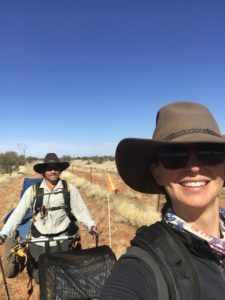 This week’s expedition goal was to make it to our second and third cattle stations, Victory Downs and Mount Cavanagh, where our second expedition food drop awaited us, and then slowly making our way towards South Australia via the Kulgera Road House (which funnily enough was north of us). As we pulled into Victory Downs after a week on the trail we were greeted with a group of smiling faces who kindly offered us a beer. ‘So you must be the mad walkers we’ve heard about. 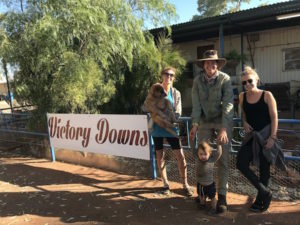 Dad saw you up on the road a few days ago as he was doing a bore run and thought you were crazy.” Tim, the station owners son said. What a warm welcome and how good did a beer (or two) taste after all this time. I’ll never get sick of seeing different people, places and ways of life and Australian Cattle Stations definitely are pretty unique. The remoteness, the size and scale (some are bigger than small European countries), the downhome friendliness and the usefulness is really special to experience. As there are typically no neighbors or stores for hundreds of kilometres, these stations have to be innovative and self-sufficient. Expeditioning, like life, has funny timing. Just when you start to figure out one thing, another challenge comes rolling your way. Just when our bodies and rhythms started to adjust, Morgan started getting four of her molars all at once. 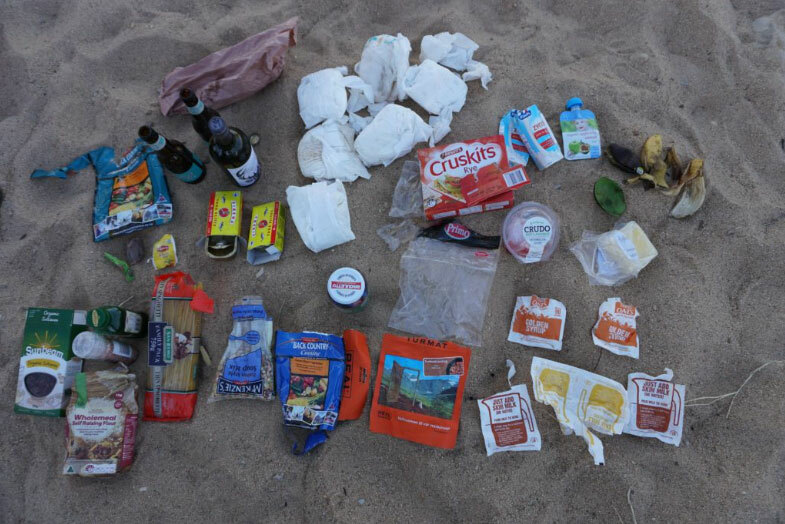 I would guess that teething isn’t a usual expedition issue to mitigate but for us, this has become a big deal. 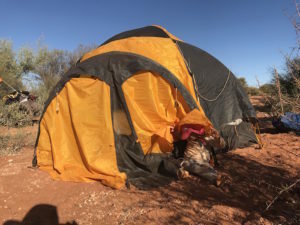 It’s the difference between sleeping restfully and recovering from the days walk and spending hours in the tent each night awake asking why, no…screaming why did we do this to ourselves. 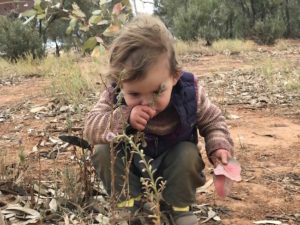 Having your kids teething is tough at the best of times but put a toddler and two parents in the tight confines of a tent, out in the remote bush, during an expedition and the issue feels magnified by a million percent. 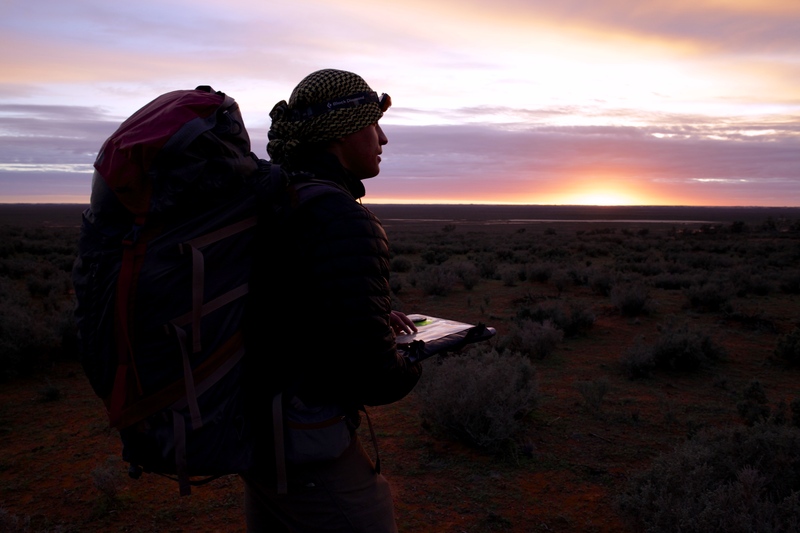 Walking between 20-30km’s per day through the Outback is tough but doing it on zero sleep makes it a serous challenge. I can only pray these teeth come in quick or we might all loose our minds. Without sleep, this expedition is fast becoming increasingly unmanageable, Justin and I are getting increasingly short with each other and our next checkpoint where we might be able to source some teeth numbing gel (I can’t believe we didn’t bring any!!) cannot come soon enough!